The state needs to improve its electric grid in order to manage the huge growth in wind energy generation. 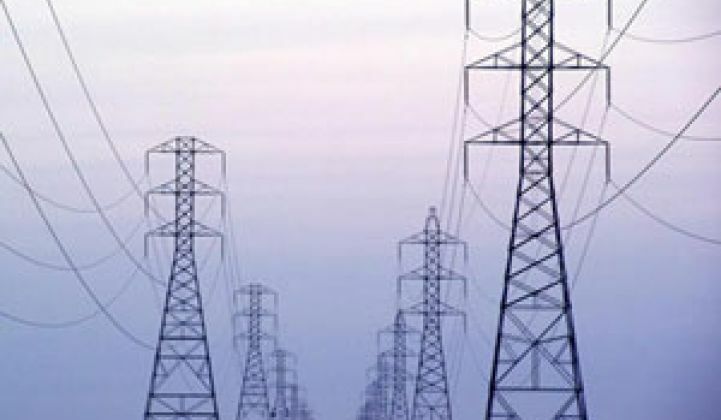 In a move to boost its inadequate electric transmission network, Texas awarded $5 billion worth of transmission projects to nearly a dozen companies. The majority of the projects went to Oncor, Electric Transmission Texas, Sharyland Utilities, Lower Colorado River Authority, Isolux Corsan, LS Power Group and Lone Star Transmission, reported Reuters. The state could see as much as 2,900 miles of new power lines when all the projects are complete. New transmission capacity is sorely needed in Texas. The state's current grid cannot adequately handle the explosive growth in wind energy generation, particularly in the western part of the state (see Texas Consortium Seeks $4.93B for Transmission Line). As a result, wind farm operators sometimes pay the grid operator to take the power they produce in order to take advantage of a lucrative federal production tax credit (see Texas Wind Farms Paying People to Take Power). Texas leads the nation in wind energy production. It has roughly 7,110 megawatts worth of generation capacity, according to the American Wind Energy Association. Iowa comes in second at 2,790 megawatts, followed by California at 2,517 megawatts.